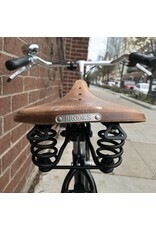 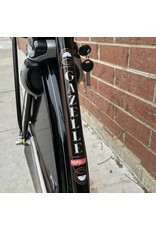 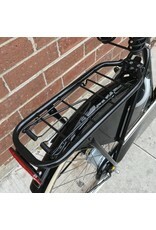 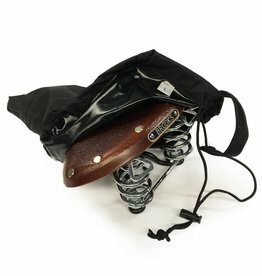 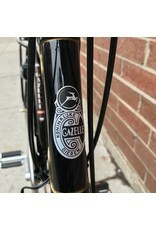 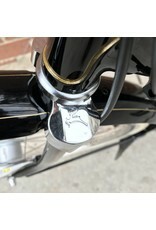 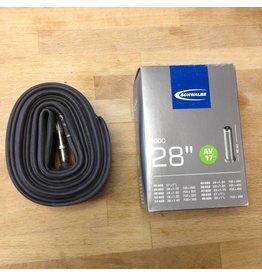 Gazelle Tour Populair Step Over - J.C. Lind Bike Co. 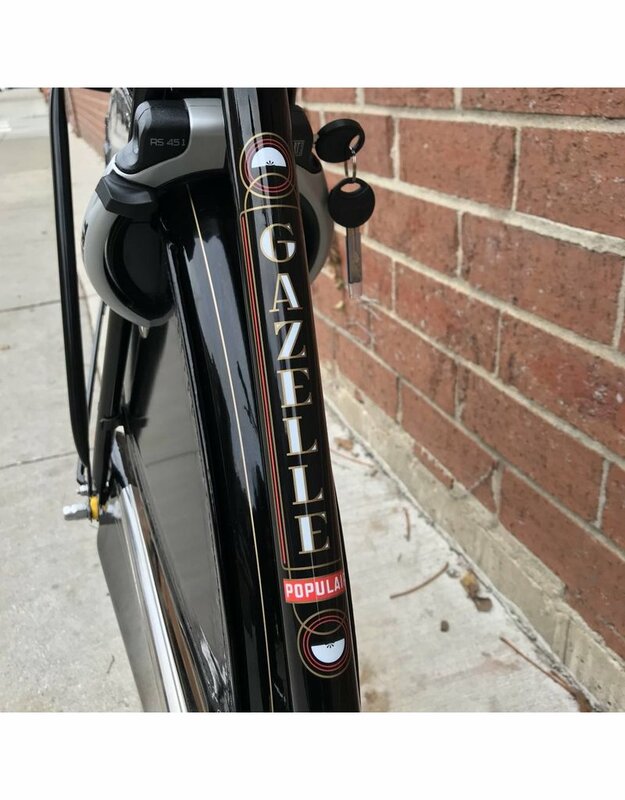 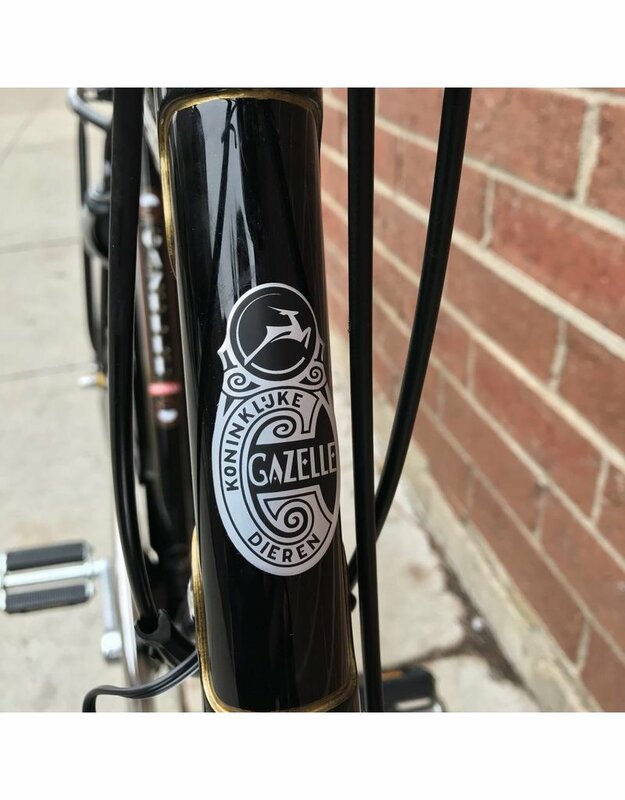 Looking at a Gazelle Tour Populair can be a little like looking into the past; it’s hard to know in what era this bike was built. 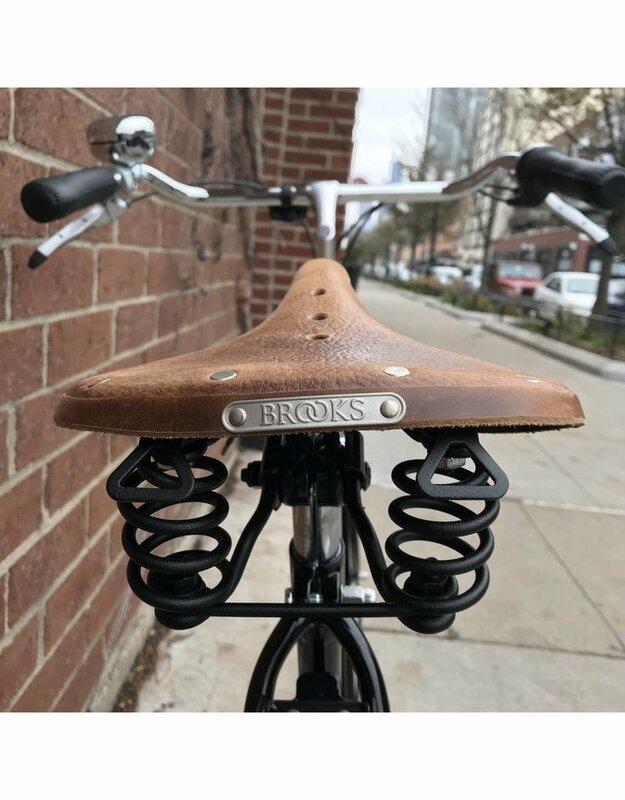 It features the same relaxed geometry and upright riding position that has been a characteristic of Dutch bikes for a century. 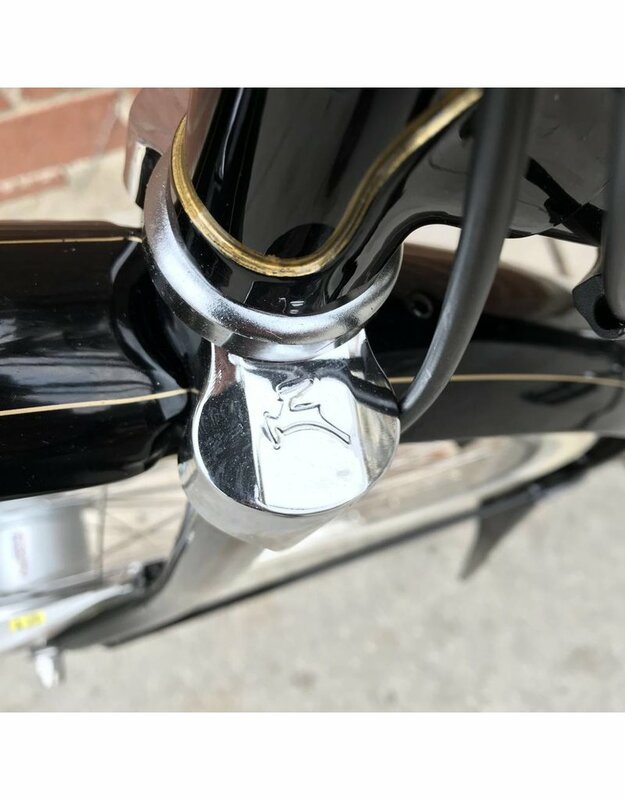 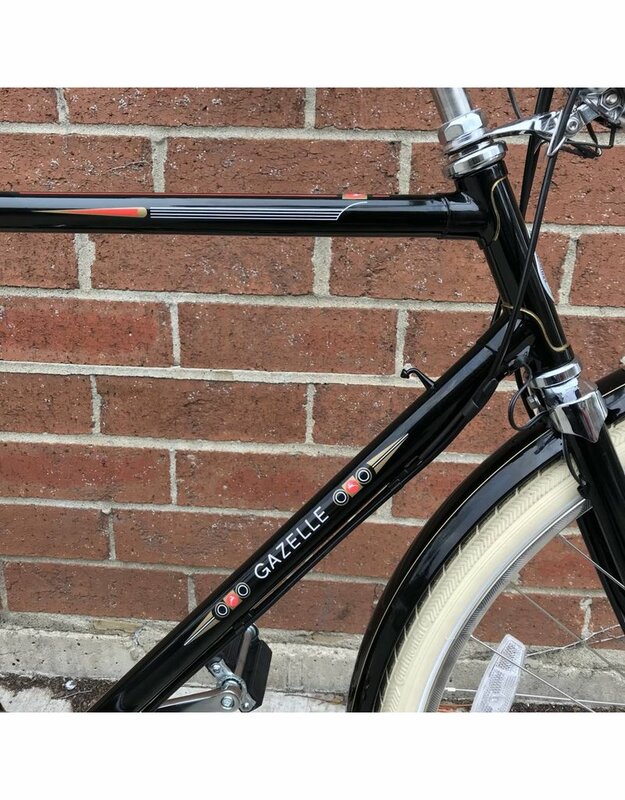 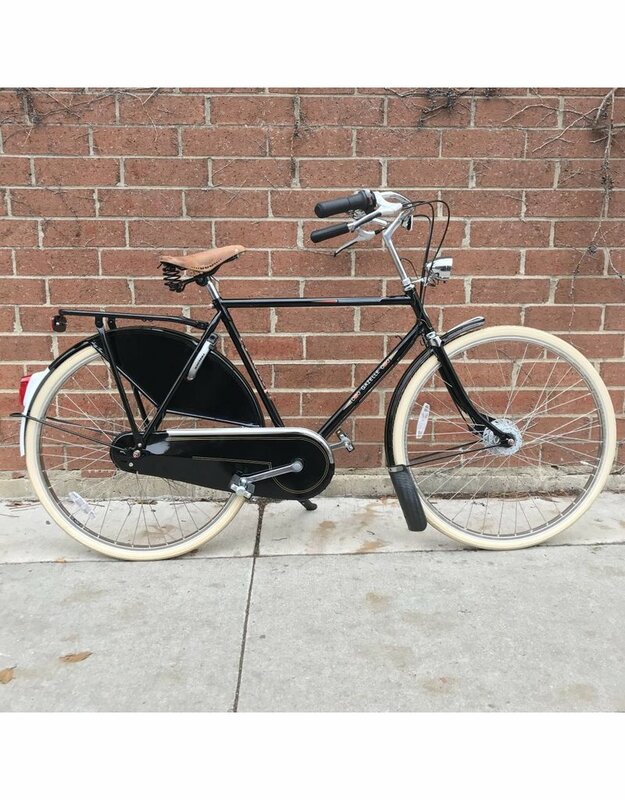 Furthermore, so many small features contribute to its vintage appearance: gold pinstriping on the black frame, cream Continental tires, a Brooks B67 leather saddle, and chrome details on the fork crown and the fully enclosed chaincase. 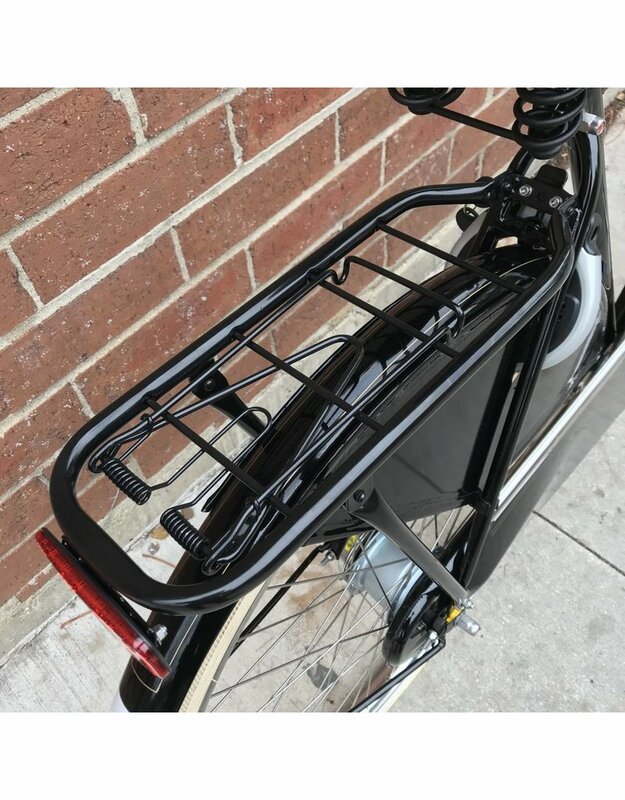 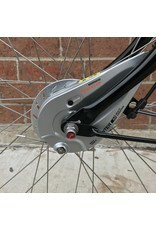 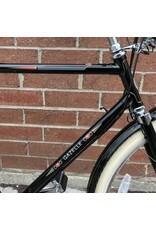 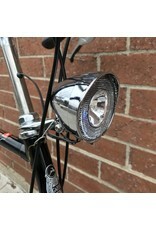 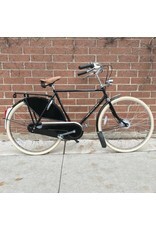 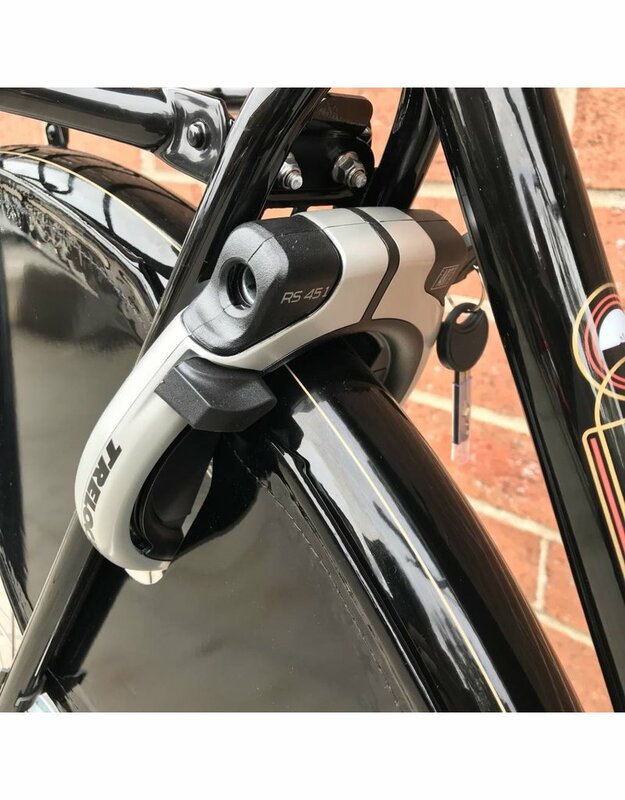 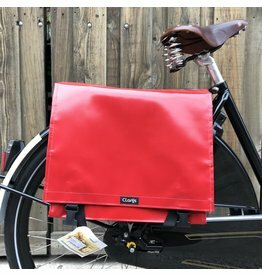 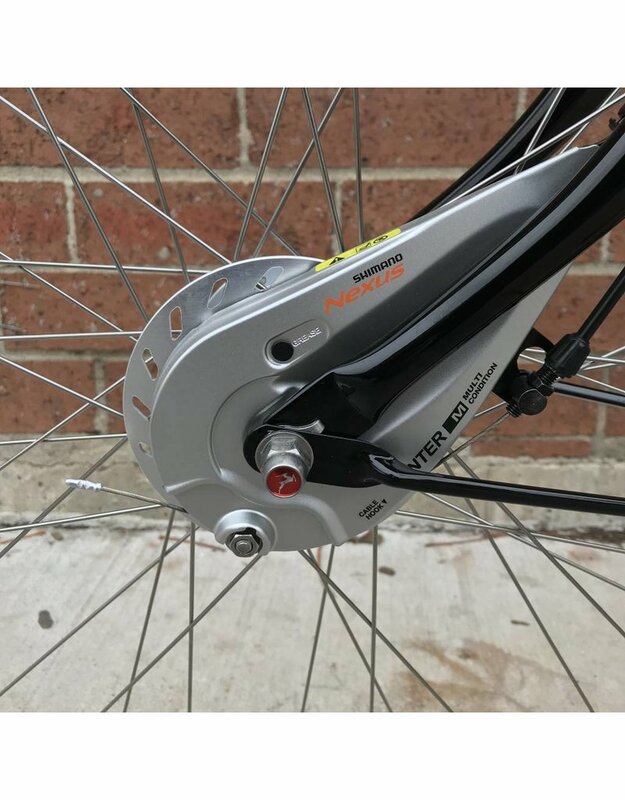 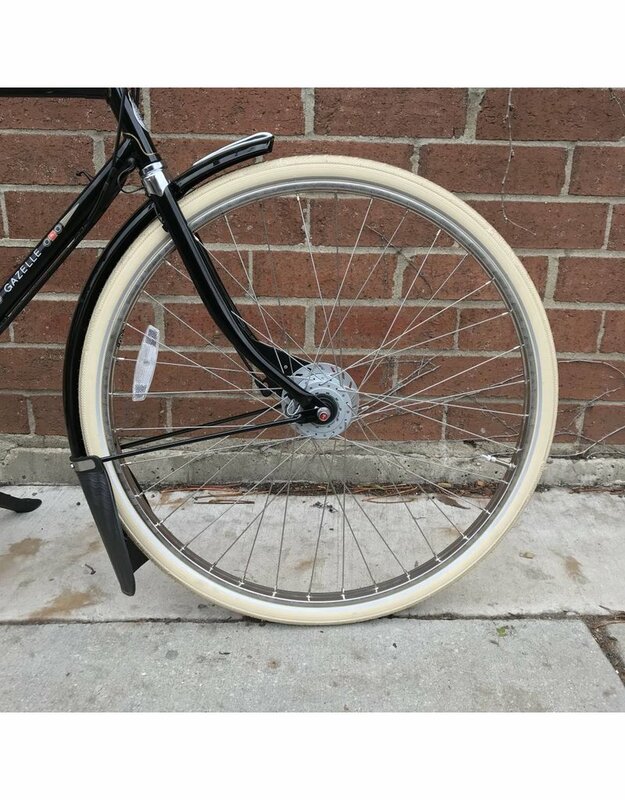 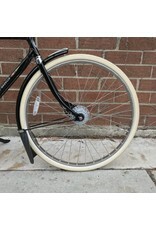 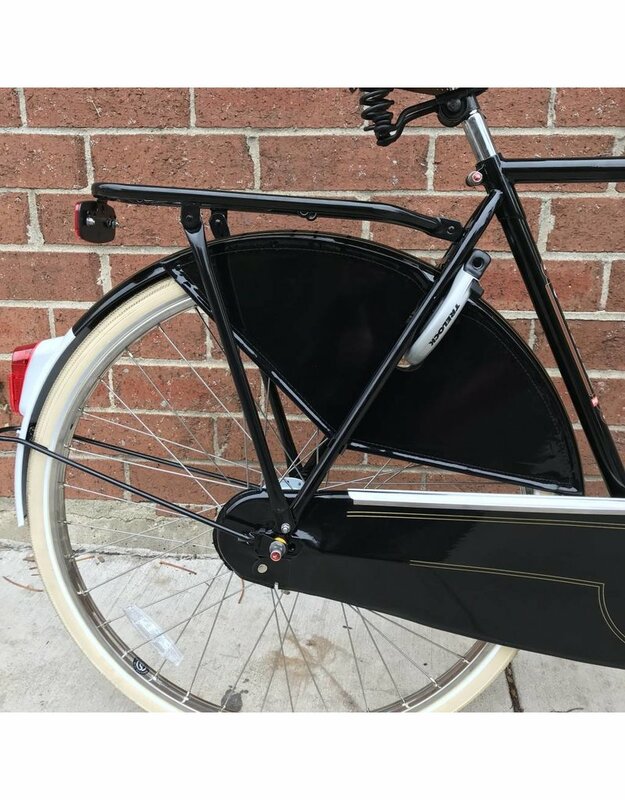 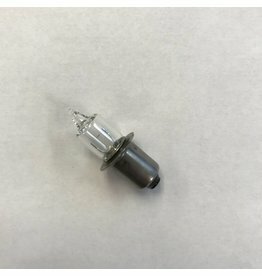 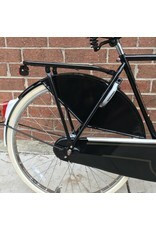 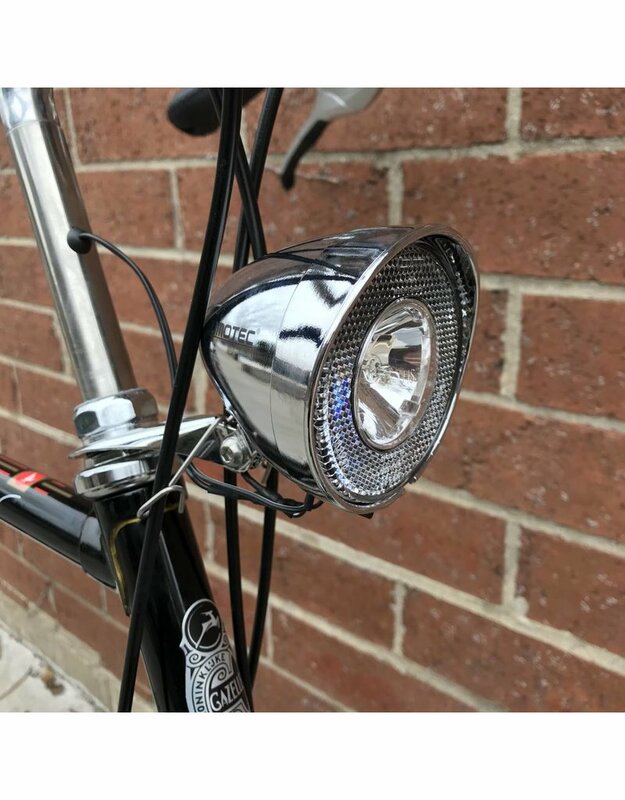 Add to that an integrated rear wheel lock, kickstand, front and rear Shimano roller brakes, a Shimano Nexus 8 speed internal gear hub, a dynamo hub to power the integrated lights, and a classic, vintage item becomes a modern daily bicycle.